Requirements: The graphic tehnique is free. The entry form or a word document with the artist name, address, telephone, e-mail, website and a small biography. Each artist may enter with a maximum of 03 works per category in a size that no..
23° Mercosur International Cartoon Contest Diógenes Taborda 2018 Argentina..
Regulation: The Cartoon contest is open to professional and amateur cartoonists and illustrators sending 1 to 3 works with the theme TANGO. Awards: September 21th, 19 hs. 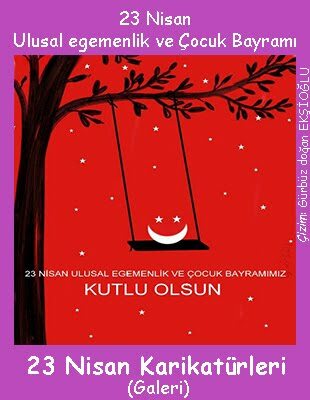 2 - Categories: Cartoon (graphic humor) , Caricature (graphic humor that expresses the physical and/or personality character known), illustration + Special Prize to the artwork most voted by the public. 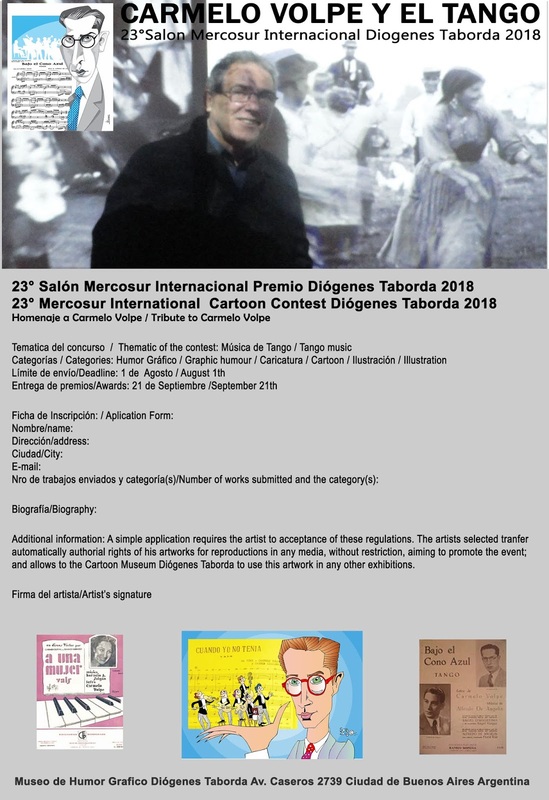 5 - Prizes: The Big Prize Diogenes Taborda 2018 will win a personal exhibition exclusive about him the Night of the Museums of Buenos Aires 2019 (the most popular day of the argentinean museums) and a colective exhibition the other 3 awarded artists in the 3 categories during the next year to be realized in the Cartoon Museum Diogenes Taborda, the day of the cartoon . Also will be edited a postcard in 10x15 cm with 4 colors. 1.000 copies and a diploma will be sent to the awarded artists. 7 - Additional information: A simple application requires the artist to acceptance of these regulations. The artists selected tranfer automatically authorial rights of his artworks for reproductions in any media, without restriction, aiming to promote the event; and allows to the Cartoon Museum Diógenes Taborda to use this artwork in any other exhibitions.